Ben has been an integral part of the west village jazz scene since making the move from Israel in 2002, where he went to H.S. with some of the most outstanding musicians to ever emerge from Israel. after being mentored by Dennis Irwin, Steve Blum, and a bit of college hopping, he found residence at Fat Cat, where he became the unofficial house bass player. 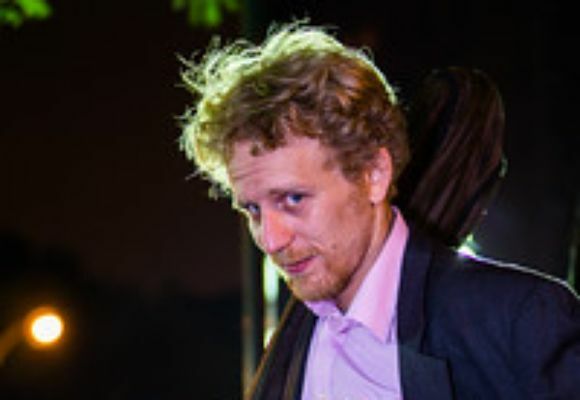 Over the couse of the next 5 years, Ben was playing at Fat Cat with 7 different groups weekly, including Harry Whitaker trio, The Fat Cat Big Band, Billy Kaye band, Saul Rubin zebtet, Don Hahn quintet, Shimrit Shoshan trio, as well as with his own band "Smashing Molek". Meigners has been a member of groups led by Andy Bey, Freddie Redd, Roy Hargrove, Jimmy Cobb, Slide Hampton, Frank Wess, George Braith, Chris Byars, Ned Goold, Gilad Atzmon, Sacha Perry, Yonatan Voltzuk, Jack Glottman, Pascuale Grasso, Kim Thompson, Asaf Yuria and many more.